Welcome to Ayala Motor Vehicle Services. As an authorized third party provider, we are proud to offer motor vehicle title & registration services in partnership with the Arizona Department of Transportation, Motor Vehicle Division. The Ayala family of companies expanded to offer these services, as a demand became evident in our insurance offices. We heard from customers who frequently told us that they wish they didnt have to go to the MVD, waiting in long lines, for simple things like renewing their registration, title transfers, or updating their insurance information with Arizona's MVD. We know you don't want to sit and wait in an office all day... if you did, you wouldn't be looking for a 3rd Party! Our Tempe Arizona location offers walk-in title & registration services with little to no wait time. Come by today, and we'll be happy to get you on your way, ASAP. We are conveniently located in west Tempe, just minutes from the I-10, I-17, US60, Loop 101, and Loop 202 freeways... on the southeast corner of 48th Street and Southern. Need directions? We're open 6 days per week to serve you. Monday-Friday, we're open from 9:00am to 6:00pm. Saturdays, we're open from 10:00am to 3:00pm, and we're closed on Sundays. We've setup a one-stop-shop, to help you with all of your title & registration needs, auto insurance purchase, lost and defective title bonds, level 1 inspections, and more.. all in one convenient location! 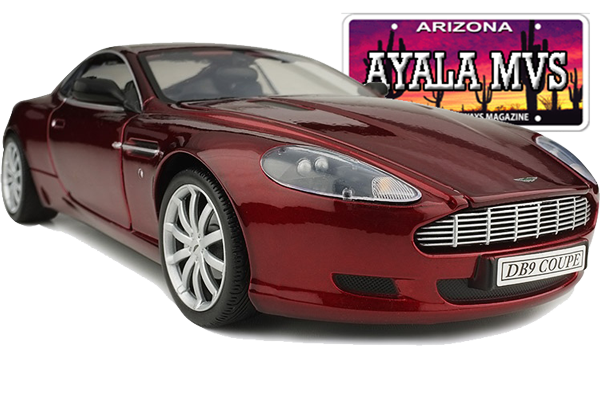 Trust Ayala Motor Vehicle Services to get your title and registration needs taken care of quickly and accurately... You'll be glad you did! Fast, Friendly, Accurate Service... In & Out! It is our goal to help you get back to the things that are important to you... as quickly as possible. Stop by and put our staff to work for you! We can have you in and out in no time. Need a plate, title transfer, registration renewal, replacement registration or license plate? Most of these services can be done in under 15 minutes! Compare that to waiting in line at the MVD, for your number to be called... Skip the wait. Copyright © 2015 - 2019 Ayala Motor Vehicle Service, LLC. All Rights Reserved.